Media Blocks are patterns which include various details for any process related to your business. Botsify lets you create customized media blocks for your chatbot in a few easy clicks. In this tutorial, we will guide you through creating a “Button Block”. 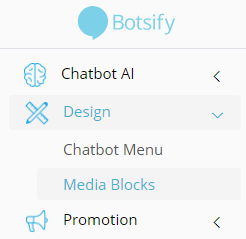 Log into your account on Botsify and from the dashboard select the chatbot from top right drop down for which you want to create a “Button Block”. You will find a toolbar on the left of your dashboard. Move your cursor to “Design” and select “Media Block” from it. You will be redirected to Media Blocks page. You will be redirected to newly loaded page with different media blocks options. Select the “Text Message” option from the top. Now you name your button block and add a brief description about it. You will find various buttons in the pop-up. Select your respective buttons accordingly. 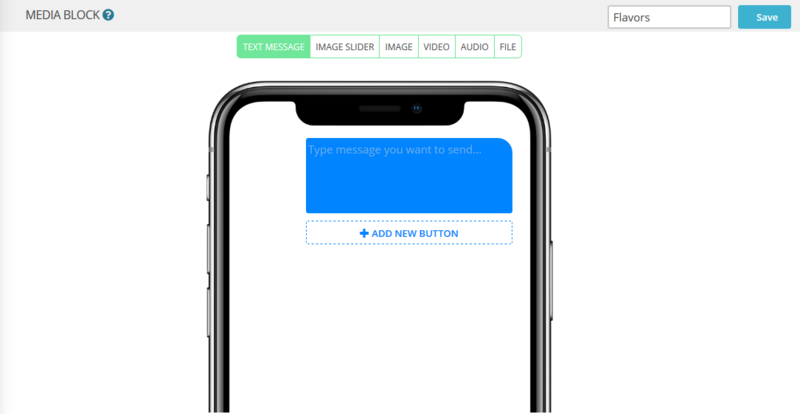 Text: Write a brief introduction in the text area for the button block and its usage. 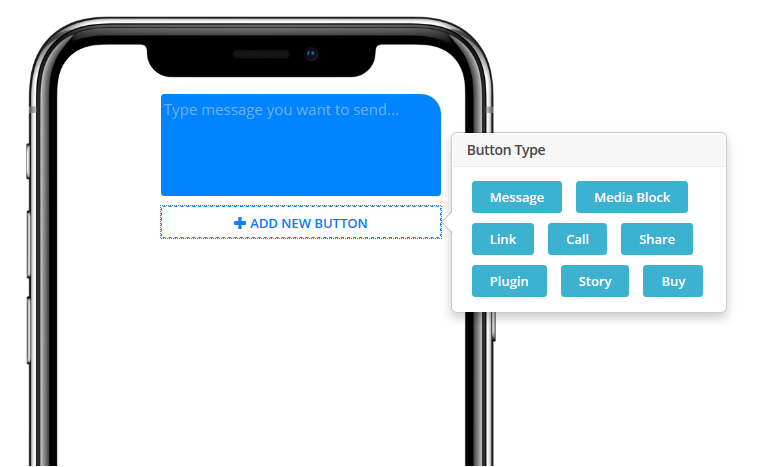 Message Button: Creates a custom button which will send a custom message when clicked. Media Block Button: You can insert a media block into the message when clicked. Like all other buttons, its name can also be customized. Link Button: Here you can name and insert a button which opens any link you desire. Call Button: This will initiate a call with a representative whose number you will have to provide. Share Button: It lets the user share the media block by opening up their friend's list when tapped in the messenger. Plugin Button: Choose from a variety of plugins for your button block. You can use plugin button for sending JSON responses, data collection forms, human help and more. Story Button: This button initiates the story that your chatbot has been assigned. Buy Button: It lets you collect payment from the user after you have setup your stripe account in Botsify. A combination of the above options can be used to create a “Button Block”. When you are done with the button block, click on the “Save” option on the top-right panel to save your button block for further working.